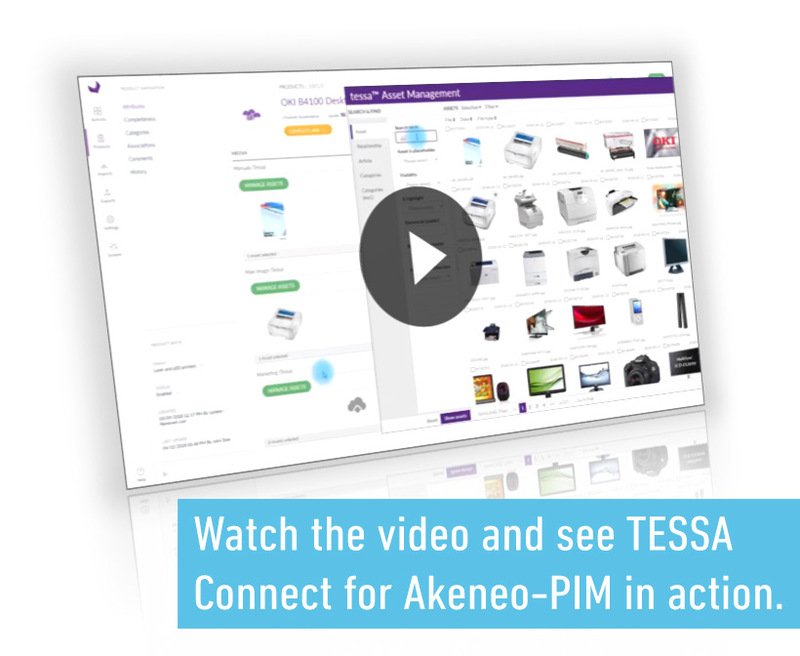 With this Connector Bundle you seamlessly connect Akeneo with the Digital Asset Management solution "TESSA" (https://www.tessa-dam.com). 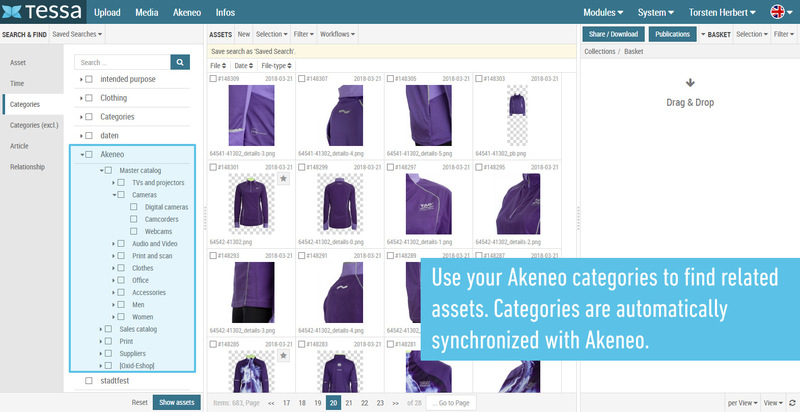 This provides you with a professional and fully integrated DAM solution for Akeneo to centrally store, manage and use all additional files for your products (e.g. images, videos, documents, etc.) in all channels. 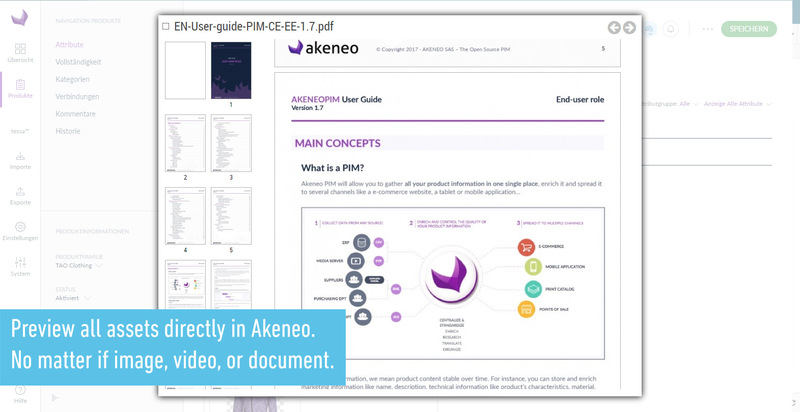 With this combination of TESSA-DAM (for Digital Asset Management) and Akeneo-PIM (for Product Information Management) it is possible to use both systems independently or integrated. 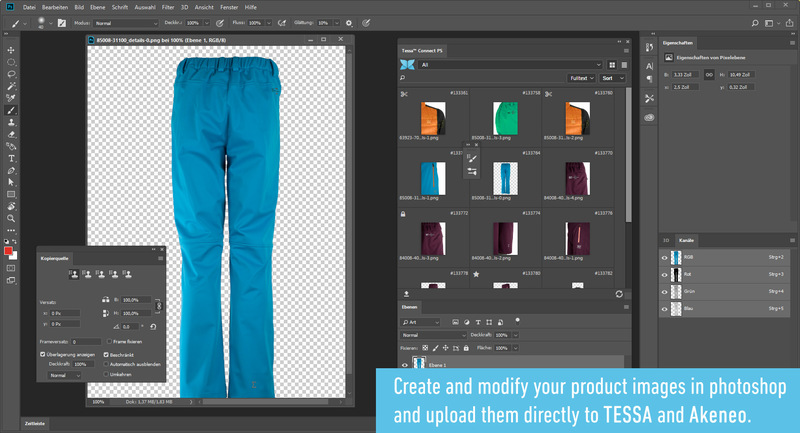 Thus, graphic designers, photographers and agencies can work directly in TESSA (without access to Akeneo) to deliver and prepare image and media data. 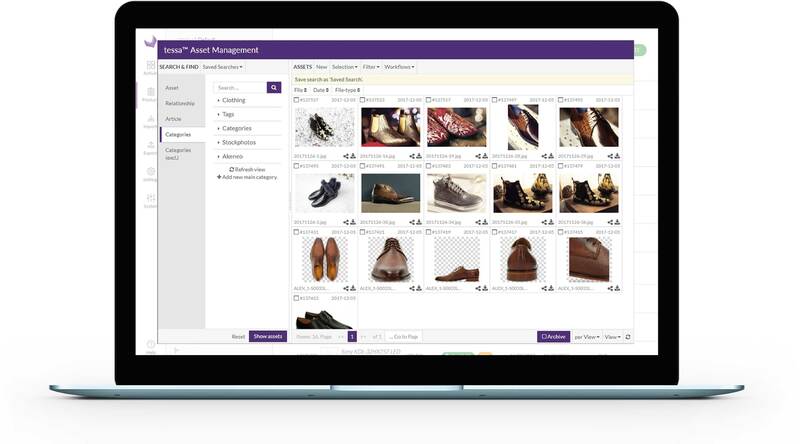 On the other hand, product managers and marketing managers can work directly in Akeneo and link assets (images, productsheets, manuals and videos) to products with just a few mouse clicks. The benefits of both systems are available to everyone, whether you work in TESSA-DAM, Akeneo-PIM, or both. 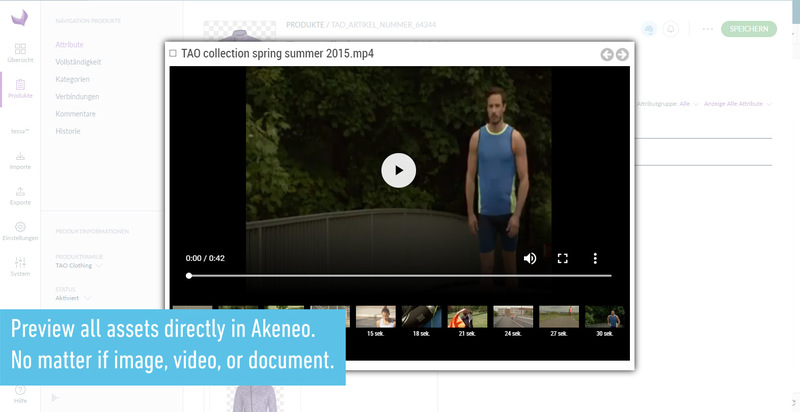 As the first provider of a fully integrated Digital Asset Management solution for Akeneo, we have the longest experience in dealing with media and products in the Akeneo area. 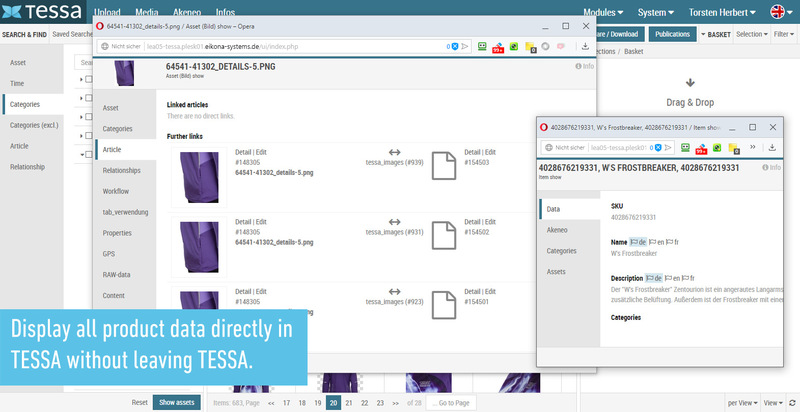 We use this experience to continuously develop TESSA and the connector. We create solutions to constantly improve your daily work with product and media data and to simplify your daily work with your products. 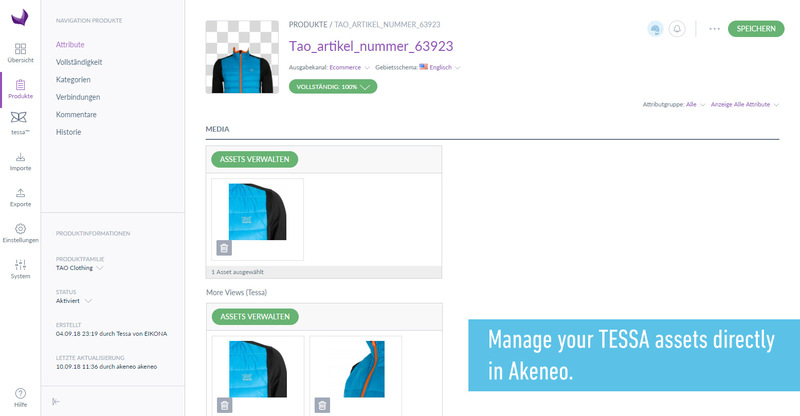 The integration takes place via a new attribute of the type "TESSA" directly in Akeneo. 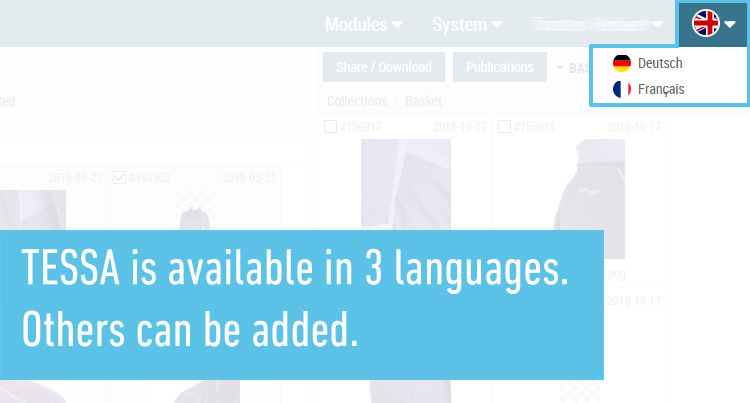 This attribute allows you to create new language- and channel-dependent attributes in your product families and thus link any assets to any product. 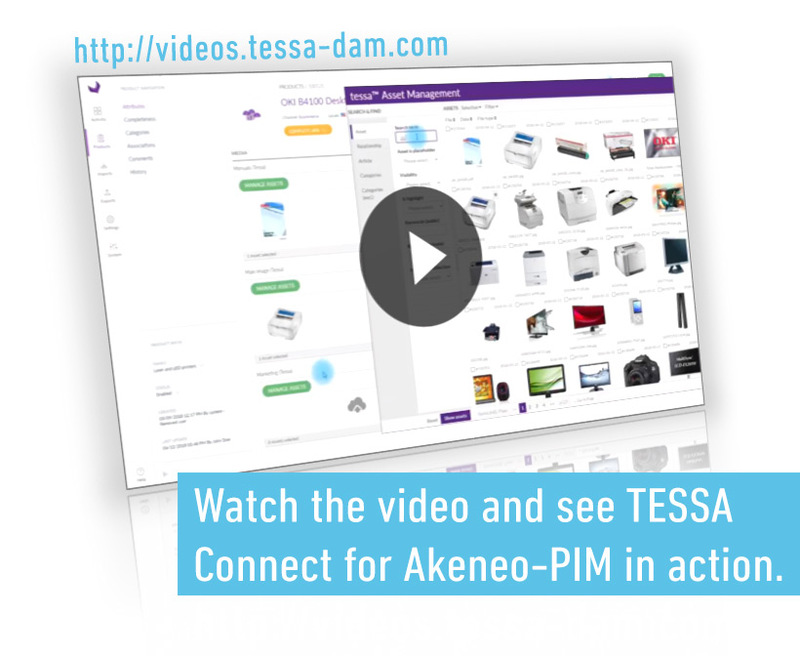 In addition, the connector automatically exchanges data between TESSA-DAM and Akeneo-PIM in the background. 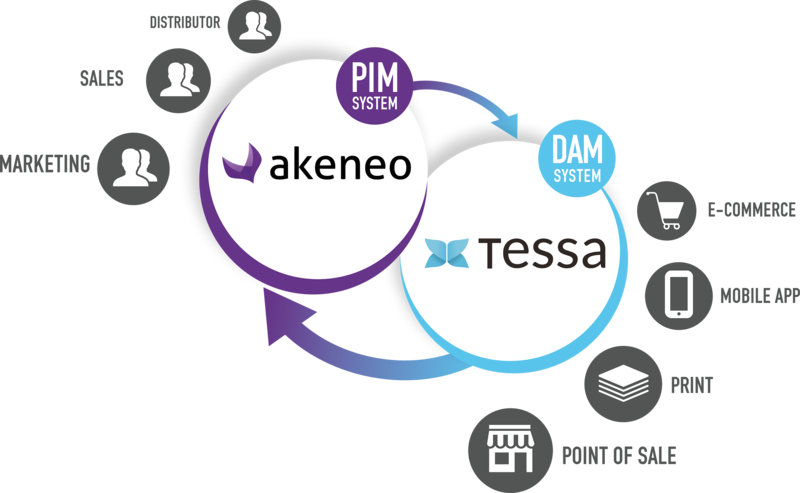 This means that almost all important information from Akeneo can be used in TESSA-DAM. 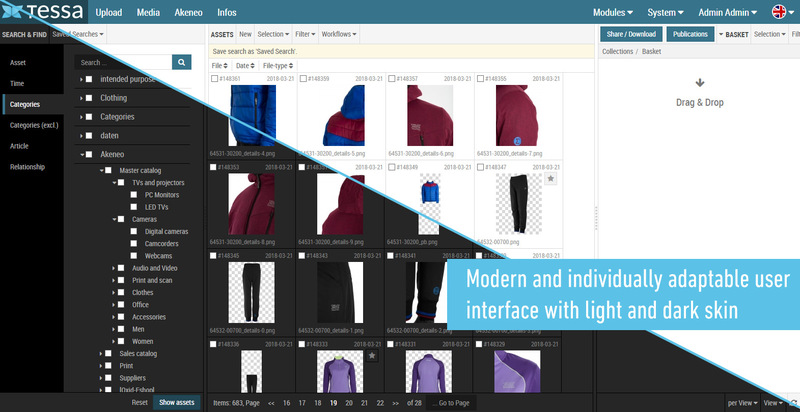 This includes product data, channel formats and attribute settings. All this is necessary to enable a deep integration of both systems and to optimize the user experience. You can find more information on our website or on our Youtube channel. 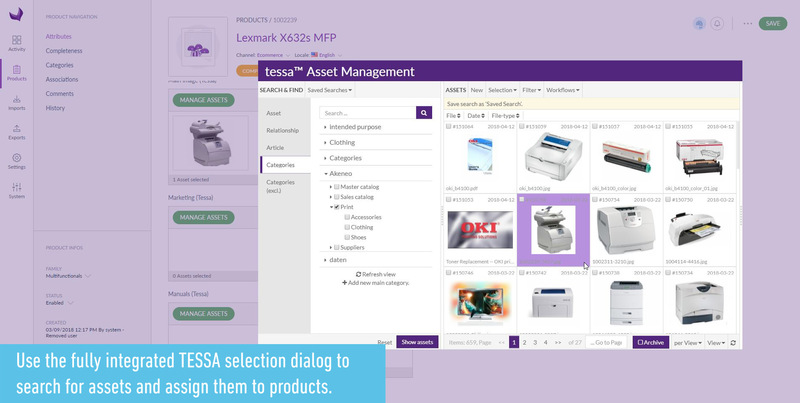 Simply contact us to learn more about the integration possibilities and benefits of TESSA. We can also arrange a free web session to show you TESSA live. Download a complete overview of all versions.